Pork. It's What's For Dinner Once More At Federal Prisons : The Two-Way The other white meat was yanked from prison menus this month, but it's back on prisoners' plates following a push from hog farmers and Iowa Sen. Charles Grassley. A Bureau of Prisons spokesman said the initial decision to take pork off the menu was spurred by the low ratings prisoners gave the product in surveys. After disappearing from federal prison menus earlier this month, pork is once again being served to some 200,000 inmates. The reversal comes on the heels of an outcry from the pork lobby and a pointed query from Sen. Charles Grassley. The Iowa Republican is the chairman of the Senate Judiciary Committee, which oversees the federal prison system. He also represents the top pork-producing state. Iowa farmers raise more than 20 million hogs a year. Edmond Ross, a spokesman for the Bureau of Prisons, told The Washington Post that the original decision to remove pork from the menu was spurred by the low ratings prisoners gave the product in surveys. "Why keep pushing food that people don't want to eat?" he asked. "Pork has been the lowest-rated food by inmates for several years." "The pork industry is responsible for 547,800 jobs, which creates $22.3 billion in personal incomes and contributes $39 billion to the gross domestic product. The United States is the world's largest exporter of pork, and the third largest producer of pork. This unprecedented decision to remove pork from all federal prisons will have consequences on the livelihoods of American citizens who work in the pork industry." The Bureau of Prisons reversed its decision hours after Grassley sent the letter. Ross didn't immediately respond to requests for comment, but he told the Post that the presence of Muslim prisoners was not a motivating factor for the temporary disappearance of pork from prison menus. 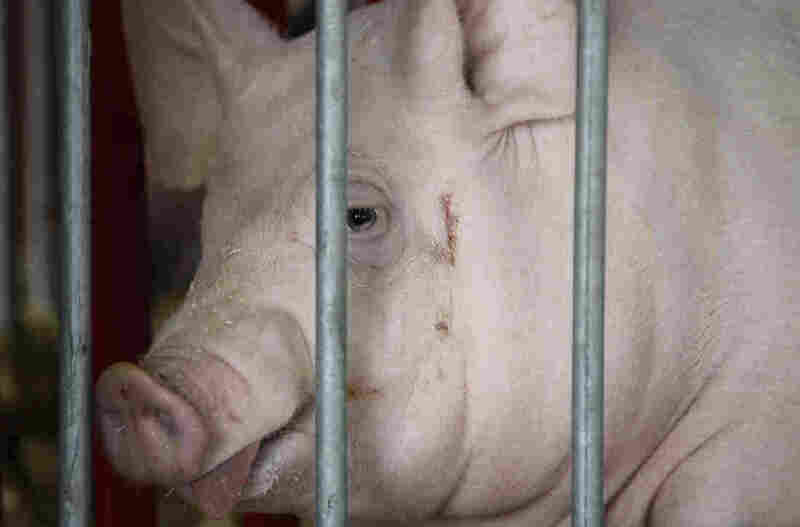 Ibrahim Hooper, a spokesman for the Council on American-Islamic Relations, told NPR that while his organization had welcomed the removal of pork products, because it would assist Muslim inmates observing a halal diet, it had not been a priority for the group. Nonetheless, he said his organization received hate mail in the aftermath of the decision, and pointed to a backlash on social media sites such as Twitter. "The manufactured controversy is symptomatic of rising Islamaphobia," Hooper said. "This reversal was as predictable as night following day."